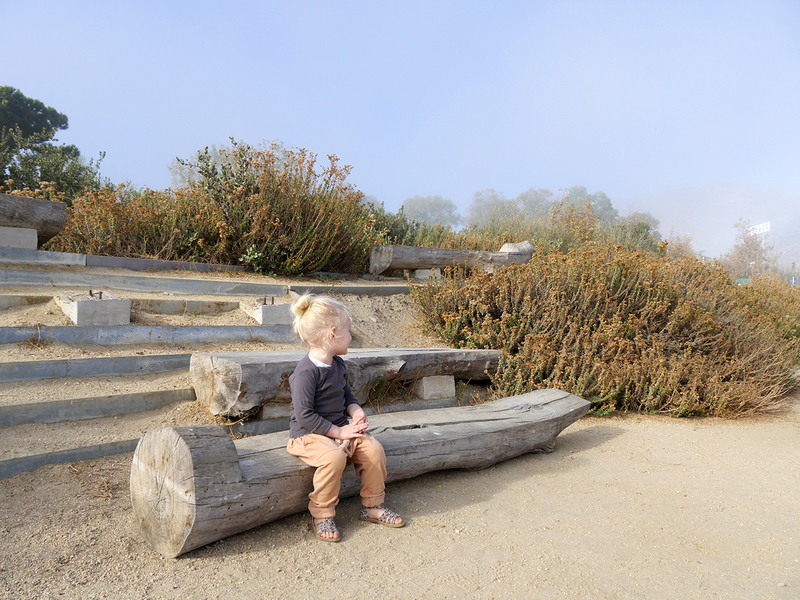 Sometimes its the simple excursions in life that give back the most. 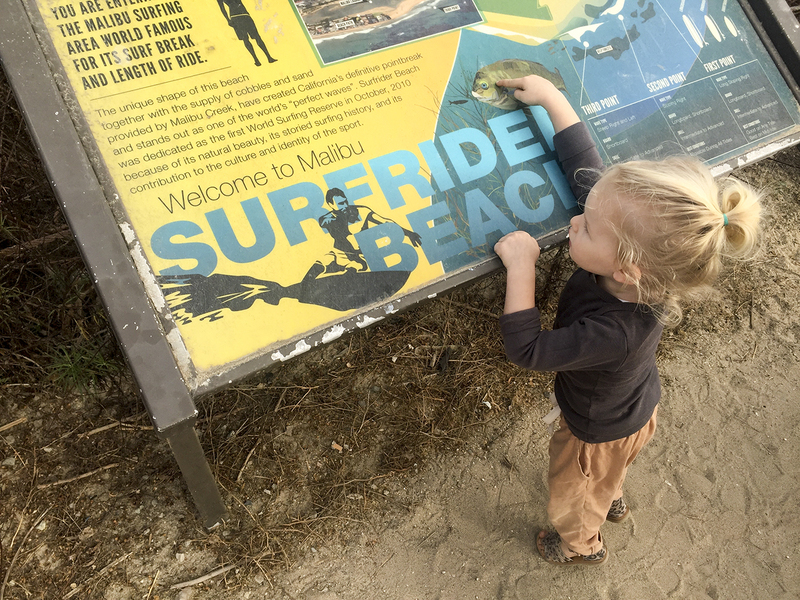 If you feel like enjoying nature and wildlife in a relaxed setting and ditching the aquarium and zoo crowds, then head on up the coast to visit the Malibu Lagoon State Beach. 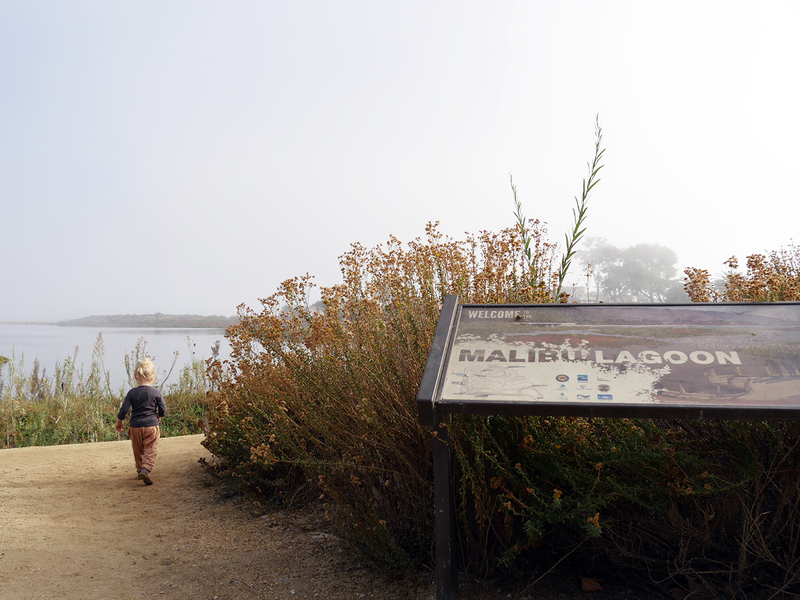 The Park is located where Malibu Creek meets the Pacific Ocean and is a majestic scenery where you can observe and appreciate sea life and over 200 bird species. 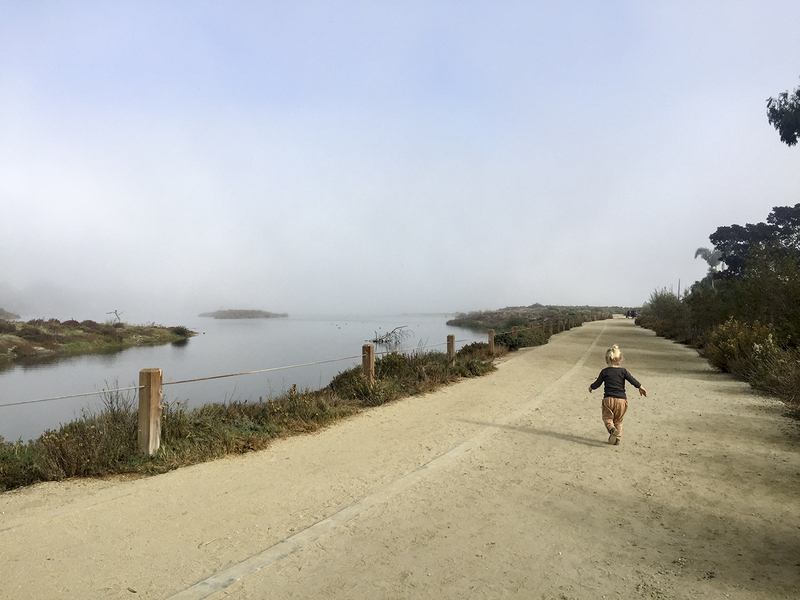 Its really so great for bird watching — the park covers 42 acres of wetlands! 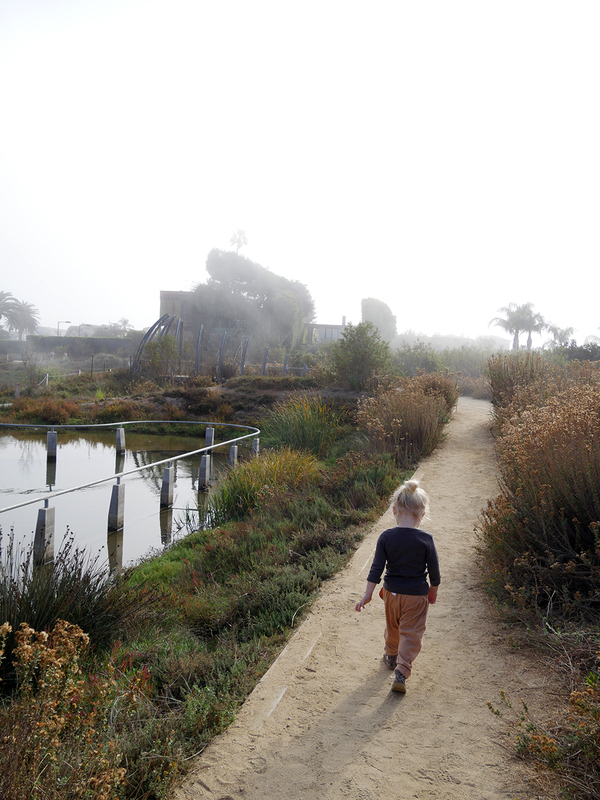 To reach the sandy beach you walk along decomposed granite paths through the wetlands of the park. 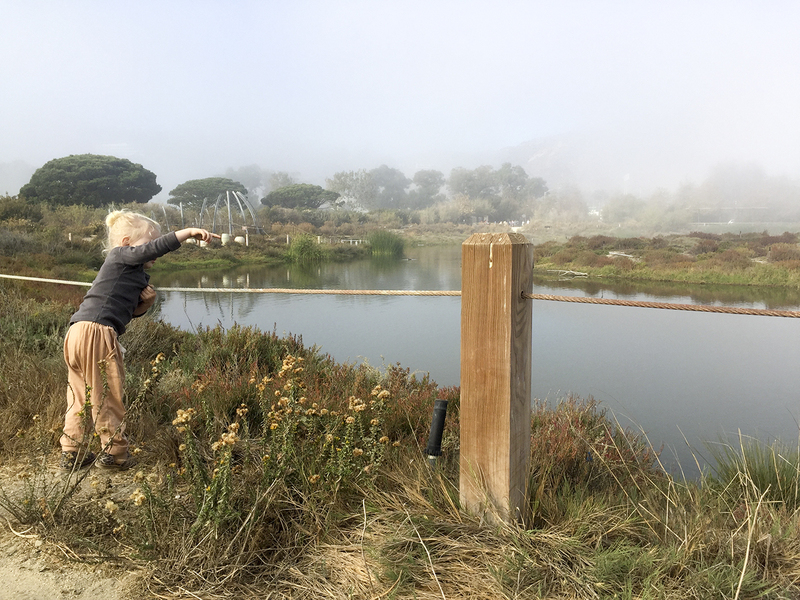 There are log benches and picnic tables along the way in case you want to stop and enjoy the lagoon and native plants on your trek to the beach. 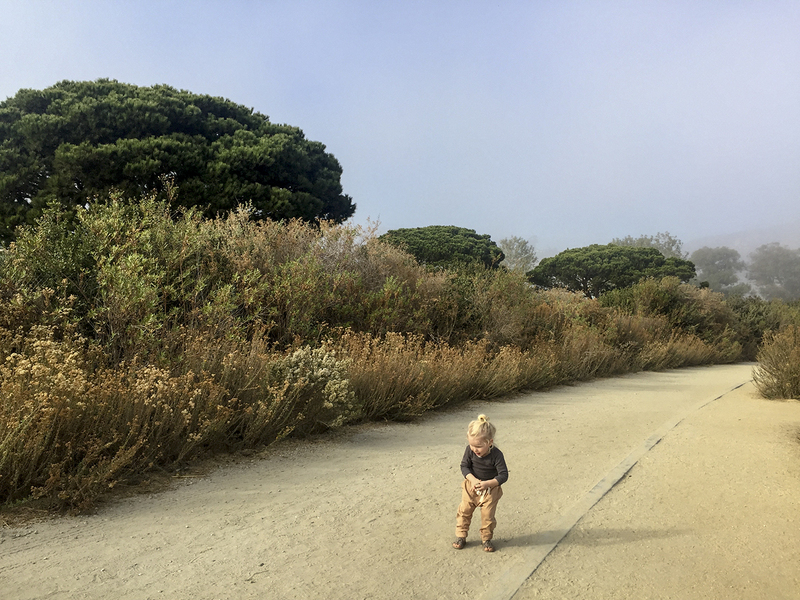 The walk with an almost 3-year-old from the parking lot to the beach took us about 20 minutes (with many many stops along the way to pick up rocks and watch the birdies). Without kids and walking steadily you can reach the beach in 5 minutes. 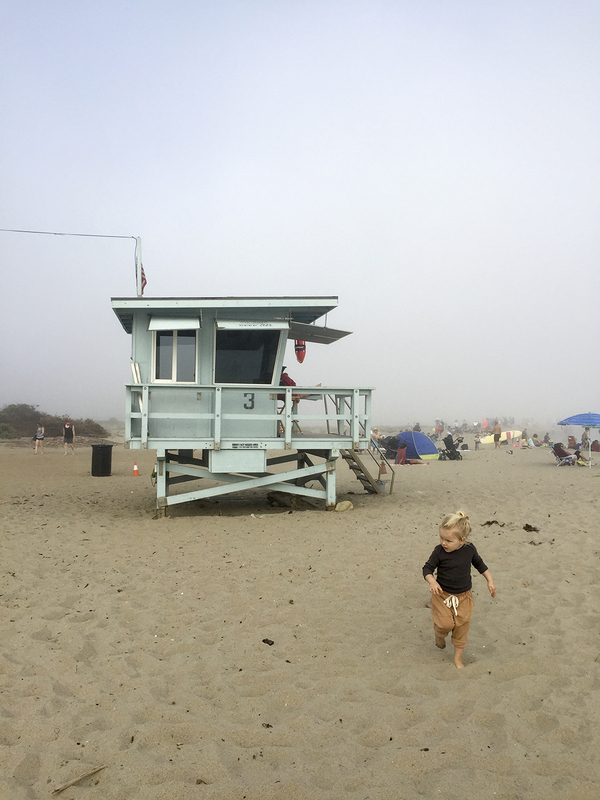 We managed to arrive right when the marine layer started rolling in, so it was rather foggy at the beach itself. 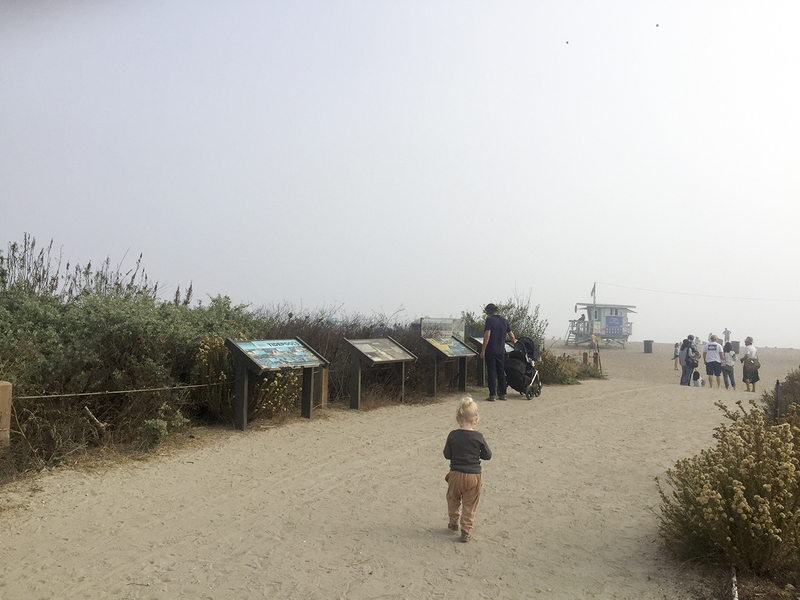 We enjoyed playing in the sand and exploring the tidepools at the beach, but on a sunny day you have much better visibility into the distance and can see the waves and the ocean horizon. The beach is very well known for surfing and goes back in surfing history as one of the local surfing hotspots. Rent a board (or bring your own) and give it a try!